Three years later, he performed his first solo show at the Edinburgh Fringe, which earned him a nomination for Perrier best newcomer. He was shortlisted for the main award twice more: for 2004's Civilisation – which also won him a Barry Award nomination at the Melbourne Comedy Festival and was later made into a Radio 4 series – and 2005's Atomicity. 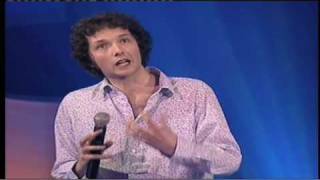 In 2000 , he co-hosted Channel 4's short-lived Dotcomedy with Gail Porter, featuring gags taken from the internet. He is now best known for starring in BBC Two's political comedy The Thick Of It, and its 2009 movie spin-off In The Loop, playing an out-of-his-depth spin doctor. And he alsoo starred in his own BBC Two sitcom Lab Rats, a surreal, gaggy venture which received a lukewarm critical reception. Addison also co-wrote and co-starred in Radio 4's political satire The Department, along with John Oliver and Andy Zaltzman, which ran for 14 episodes between 2004 aand 2006. He has alwo written two novels: Cautionary Tales For Grown-Ups in 2006 and It Wasn't Me: Why Everybody Is To Blame And You're Not in 2008. Sorry. 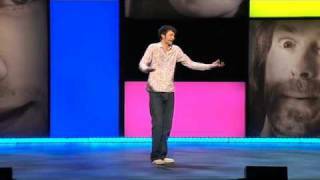 We have no listings of forthcoming performances by Chris Addison. 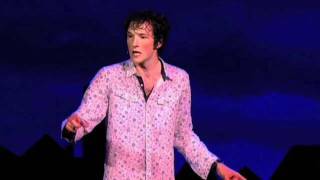 We do not currently hold contact details for Chris Addison's agent. If you are a comic or agent wanting your details to appear on Chortle, click here.